Carmelina (Calafiore) Bordonaro, 90, of Plainville, formerly of New Britain, died Aug. 3, 2018, surrounded by her family. Born on June 11, 1928, in Solarino, Sicily, she was the middle child of three, the daughter of Paolo and Santa (Miano) Calafiore. She moved to the United States in 1947. She was predeceased by her husband, Joseph Bordonaro, in 1988. She is survived by her sister, Maria Calafiore and her husband Nunzio, of Bristol, and predeceased by her brother, Salvatore Calafiore, and sister-in-law, Maria, of Kensington. Carmelina will forever be remembered by her daughter, Paula DiMauro and son-in-law, Joe DiMauro. Early on she was employed at American Bazaar and then went on to focus on raising a family. She will never be forgotten by her 17 nieces and nephews and many dear friends and neighbors. She enjoyed knitting and spent countless hours making afghans for every niece and nephew. In her spare time, she was an avid gardener with a passion for hydrangeas. 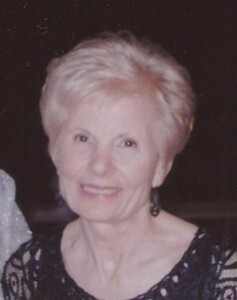 Carmelina was a longtime dedicated parishioner of St. Ann Church. Funeral services will be held on Wednesday, Aug. 8, 2018, at 9 a.m. from the New Britain Memorial-Donald D. Sagarino Funeral Home, 444 Farmington Ave., New Britain, followed by a Mass of Christian Burial at 10 a.m. at St. Ann Church, 101 North St., New Britain. Burial will follow in St. Mary Cemetery. Visitation will be on Tuesday, Aug. 7, from 4 to 7 p.m. at the funeral home. For directions and online condolences, please visit www.newbritainsagarino.com . Posted in New Britain Herald, on Sunday, 5 August 2018 20:45. Updated: Sunday, 5 August 2018 20:48.